Calling all Laurie Hernandez fans: You will soon be able to buy a Barbie doll made in her likeness. Barbie is creating a doll that looks like the Olympic gymnast for Mattel’s “Shero” line, which includes dolls in the likenesses of director Ava DuVernay, dancer Misty Copeland and fellow Olympic gymnast Gabby Douglas and fencer Ibtihaj Muhammad. 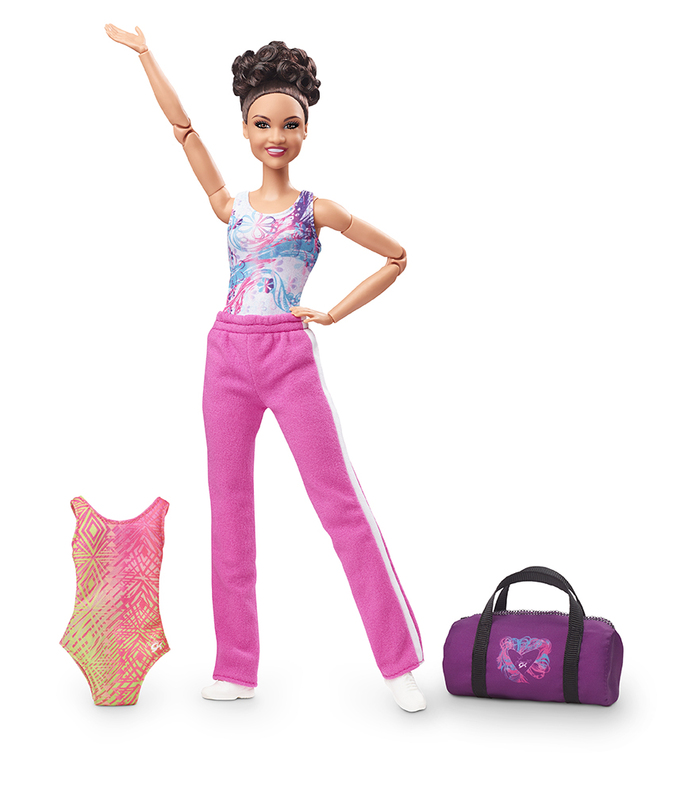 Hernandez’s Barbie is fully posable (so everyone can do gymnastics with her) and comes with two leotards and a gym bag. “Girls need more role models like Laurie, because imagining they can be anything is just the beginning, and seeing that they can makes all the difference,” a spokesperson for Mattel told HuffPost. Hernandez, 18, told HuffPost she is honored to have her very own Barbie and to be in the company of such amazing women. “I was so excited to know that I would have a Barbie that looks like me,” she told HuffPost. Hernandez competed on the U.S. women’s gymnastics team during the 2016 Olympic Games in Rio de Janeiro where she won gold in the team event and silver on the balance beam. At just 16 years old, Hernandez became the third Latina in history to make the women’s Olympic gymnastics team, and the first U.S.-born Latina to make the team since 1984. Aside from ensuring that the doll looked like her, Hernandez said the most important detail of the design process was her Barbie’s curly hair. Hernandez added that she’s on “cloud nine” knowing that she’s in the company of trailblazing women like Douglas, Copeland and Muhammad. The doll will be available to buy at Walmarts around the country for $29.88 starting this month. Scroll below to see more photos of Hernandez’s Barbie Shero doll.